Today’s marketing and brand management groups are on the front lines of business mandates to grow international revenue, increase worldwide market share, and strengthen the impact of global brands. Businesses reaching for such goals face an environment of unprecedented pressures. How are companies dealing with the demands of multilingual marketing? How are marketers handling new online media and swelling volumes of content? How are they providing consistent customer experiences across dissimilar languages and cultures? How are they controlling costs? 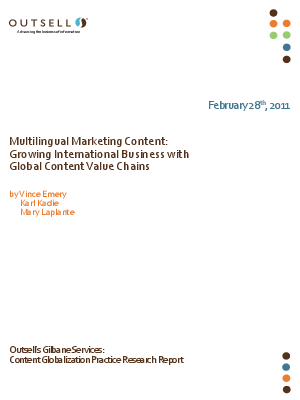 What obstacles prevent the alignment of multilingual marketing content with businesses’ larger goals? Which investments deliver the most impact?